Have you ever entered a restaurant, looked at the menu and walked out? How about if you have ever walked through Sam’s Club and tasted some of the free samples? Have reviews ever swayed your purchasing decision for something on Amazon, or looked at product images before searching for a Christmas present? If so, then you know first-hand how micro conversions impact the final purchase. A micro conversion is any user activity that leads towards a major target conversion like the last purchase, donation, or phone call. Micro conversions are often the auxiliary signals that provide vital input to your users to increase profits. A micro conversion is all about changing your visitor’s state of mind from one thing to another through small changes. Micro conversions are individual signals that tell you about your audience and their intention to continue down the path toward a primary objective of your business. Many small business owners find it difficult to find the things that their audience is looking for, but luckily there are free online marketing tools for small business to help you reach your goals! 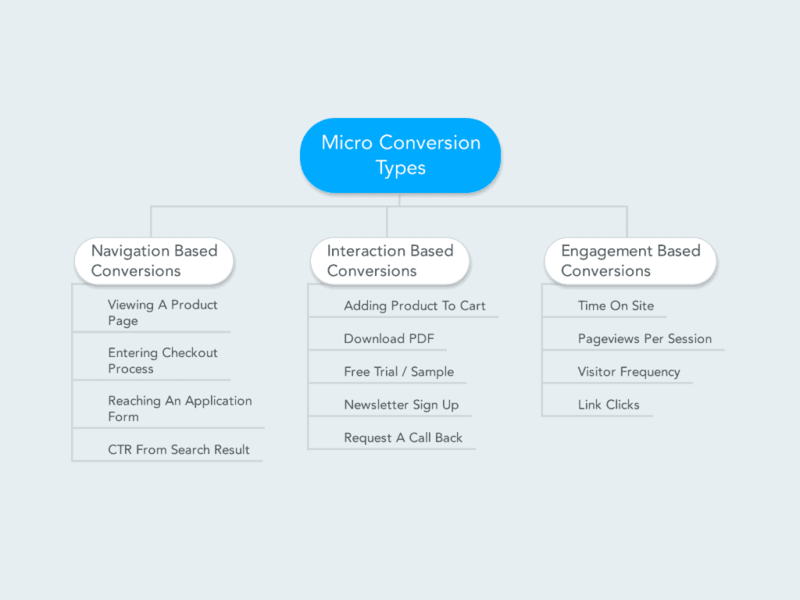 It is important to understand the types of micro conversions you can track, and why you would use a specific kind of micro-conversion. Understanding these different types of micro conversions will provide you detailed feedback on your audience when used in the actual situation and tracked correctly. Click Through Rate from search results while searching for content for your website. These types of micro conversions help you understand what type of products and services your customers might be interested in for the future. These types of micro conversions are seen through analytics and other tracking methods. You should focus on patterns and general trends within specific customer segments to learn what kinds of information you can optimize to increase conversions. If you don’t like losing money and want to understand your audience better then you should be monitoring micro conversions. While macro conversions are the real goal, you need to know the steps people took to reach the end goal and where (if any) problems arose along the customer journey. Micro conversions help you understand who your audience is, why they are coming to your website, and what they are doing on your site. The patterns and actions your customers take tell you a lot about their intent and their plan help you understand how to maximize your interactions. Your business will be able to segment your general audience based on their intentions to increase revenue and success. It takes time and resources to develop a great experience for your customers. This means that your business needs to do its utmost to reduce costs to boost ROI on your marketing strategy. Micro conversions can signal gaps in your customer journey and identify ways to optimize the path toward a macro conversion. If your business understands what content is attractive to particular segments of your audience, then you can optimize by segment and personalize your content. This reduces cost, improves production time, decreases wasteful productivity and ultimately cements your business ROI. 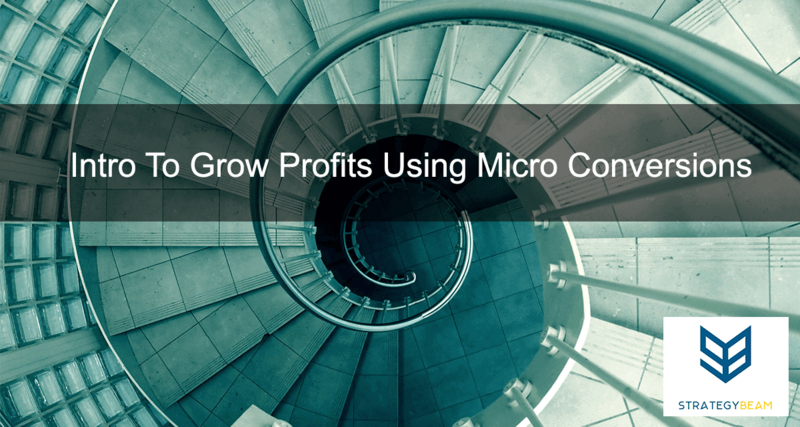 Micro conversions are often overlooked and underappreciated when companies look for ways to increase their revenue and optimize their digital marketing efforts. However, micro conversions are essential pieces because they are the small steps that lead your customers to the purchase or some other business goal. Without optimizing micro conversions, your company will never be able to grow traffic and improve conversion rates. Look at the different types of micro conversions and optimize accordingly. You will be able to use this information about micro conversions to make it easier for your customers to buy your products or services while also improving the overall customer experience and workflow! Now it’s your turn. What micro conversions do you track and how have you optimized to increase profits for your business? Let us know in the comments below!